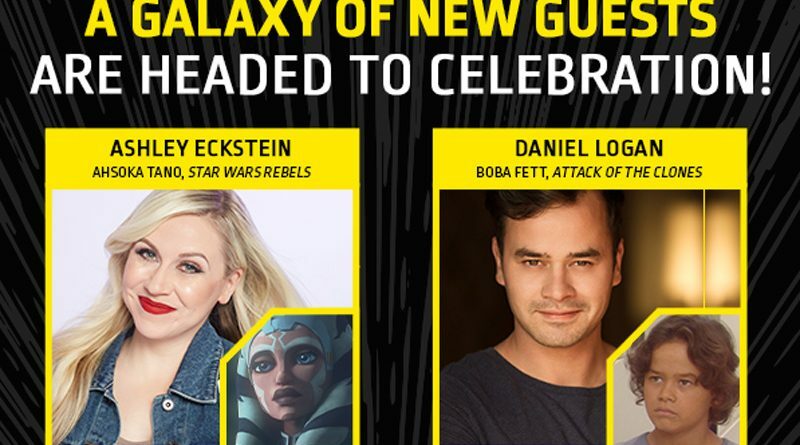 StarWarsCelebration.com has announced that Ashley Ekstein, Daniel Logan, John Ratzenberger, Jett Lucas, Ken Leung, and Katy Kartwheel will be attending Star Wars Celebration in Chicago. This will be the first time for Ken Leung, Katy Kartwheel, and Jett Lucas to attend Celebration as guests. With Sam Witwer and James Arnold Taylor already announced, we’re hoping for a Star Wars: The Clone Wars panel! Star Wars Celebration will be held in the McCormick Place convention center in Chicago from April 11-15, 2019. Check out the full guest list and find other information about the show on StarWarsCelebration.com.